Hopefully coming soon to an official KB article. Till then, enjoy the following article. Excuse the formatting, I originally wrote this in word, and it didn’t convert to HTML quite so nicely. 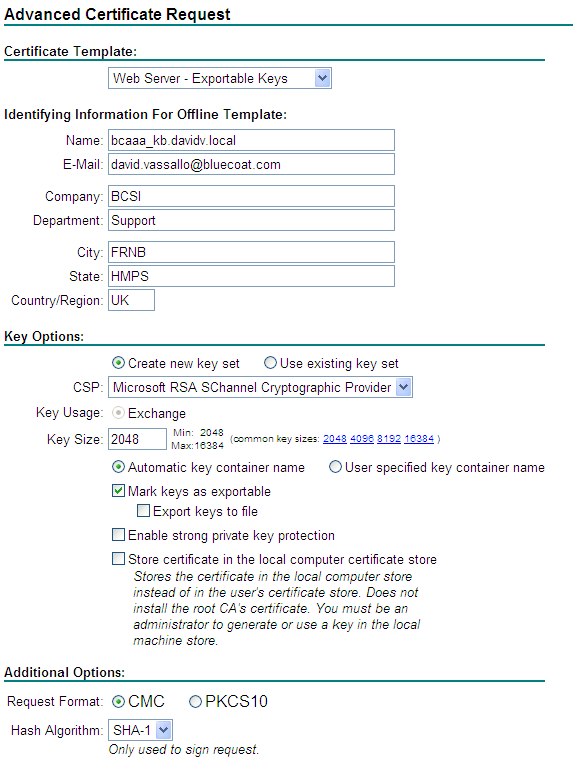 The objective of this KB is to configure mutual authentication between the ProxySG and BCAAA server. Each of these would verify the others’ identity using ssl certificates. If either node presents a wrong hostname / selfsigned / expired certificate, they will refuse the connection. Generate certificate for bcaaa agent. Via internet explorer, go to http://server_ip/CertSrv (case sensitive). Submit the request, and install the certificate. Open the certificate, and under the “Details” tab, click the “copy to file” button. Make sure the option to export the keys is enabled, and save the file. Make a note of the password you gave the file and delete the certificate from your store. Transfer the file to the BCAAA server. 2. Generate the certificate for the proxySG. 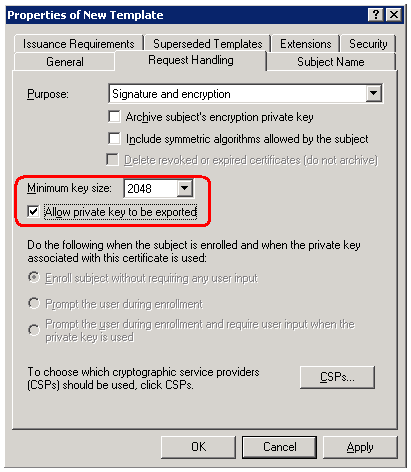 Edit the newly created certificate and create a new “Certificate signing request”. Fill in the appropriate info and make sure the “common name” is set to the fqdn of the proxy. In this case it is proxysg.davidv.local. 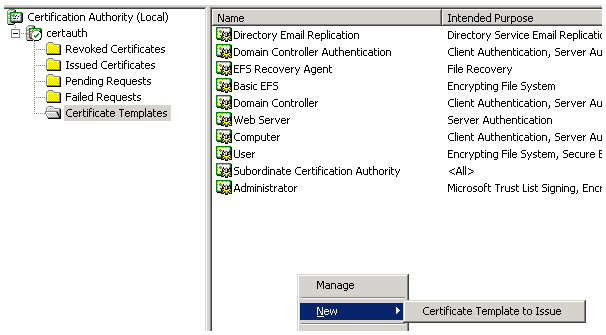 Copy / paste the certificate request to the site, and select the web server certificate template. 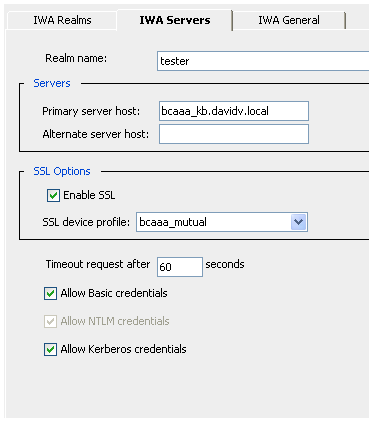 Create an IWA realm, and edit the “IWA servers” tab to tick the option “enable ssl”. Open the VPM, and create a web access layer. Change the IWA configuration to use the BCAAA hostname not IP. Make sure the hostname is resolvable! Do you happen to have any article or pointers which regards to configuring ssl authentication between Bluecoat SG and Microsoft AD using Ldap. i used step 2 and 4 from this article but the SG is not able to browse the AD, not connecting. Is there a configuration I might be missing with regards the AD I’m quite confident about the SG part but not the AD. Hope you can help and thanks for sharing. “How to troubleshoot LDAP over SSL connection problems” (http://support.microsoft.com/kb/938703). In this article the “Enable Schannel logging” is especially useful for gathering information. I’d recommend you first setup normal, unencrypted LDAP and see if that works as expected. Then move over to LDAPS, (dont forget to change the port to 636 from 389) and start looking at the above two articles to help. Dont forget to put the event logging level to verbose on the bluecoat and keep an eye on the ProxySG event log for any clues. David, thanks a million, I now have this working your notes helped greatly. Keep up the good work in your knowledge share.